Have you ever decided to shop in a store, because the original one didn’t accept credit cards and you didn’t feel like looking for an ATM machine and paying the ATM fee? If your business doesn’t accept online payments, many customers will feel the same about it. The competition is severe online, and they can find another vendor that is more flexible with payments in just one click. These days every customer expects to be able to pay for products or services fast and without any hassle, so by rejecting online payments, you reject these customers, too! As if this wasn’t enough, here are five more good reasons to implement an online payments system on your website. For most of your customers the easiest way to pay is to fill in their credit card details and click the button – no need to visit your office to pay in cash or write a check. Today everyone is very cautious about sharing their financial information, so when you ask a customer to provide you with their checking account details, they might not feel comfortable about it. An online payments system is private and protects your customers’ credit card data, so they will feel much more secure when making a payment. You don’t have to cash out the customer’s check and wait for it to clear – it’s the bank that processes the payment, and the money lands on your account very fast. With a cash payment, there is still a chance – though very small – that the cash will be counterfeit, and when you receive a check, it might not be cleared by the bank. In either case, you just don’t get the money for the product or service you sold. Online payments are guaranteed: if the customer’s card is empty, the transaction will not go through, and you won’t close the deal. As mentioned above, an online payments system helps you attract more customers, because each of them can find a handy payment option (credit card, PayPal, etc.) What’s even more important, online payments let you sell internationally, so why limit your sales to your country only? The philosophy behind online payments is pretty clear – if you offer your products on the Internet, you must give people a possibility to pay for them online. With all the benefits both for you and your customers, you can’t afford ignoring online payments any more. 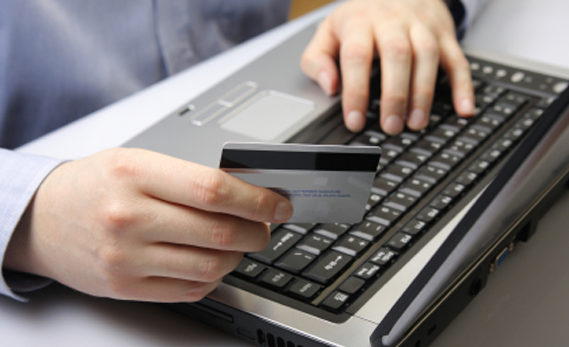 Does your business accept payments online? Did you feel the impact on your sales when you first implemented an online payments system? Share your experience below.